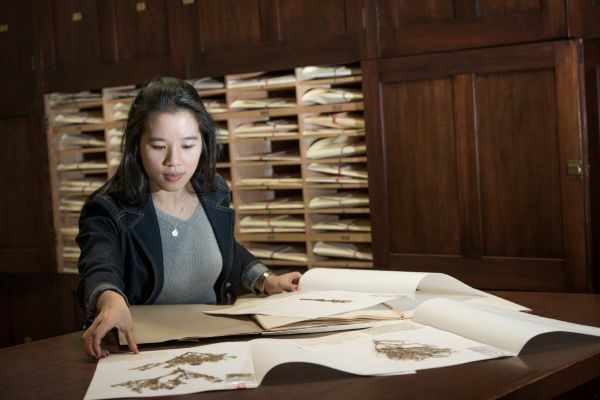 With an estimated 150,000 specimens, the University of Melbourne Herbarium (MELU), is the largest university herbarium in Australia, and its online collection is now freely available to the public for the first time. The Collection Online interface provides access to the University of Melbourne Herbarium digital content, including approximately 23,228 specimens and 9,580 high-resolution images, that make up the 15% of the collection that has been digitised to-date. The specimens in the Herbarium document plant diversity; specimen data can now be searched or browsed, their locations can be mapped, and the flowers and fruit or the collector’s handwriting can be viewed via the high-resolution specimen images. The online collection provides the digital key that enables the public, scientists, and educators globally to virtually explore and discover the biodiversity held within the Herbarium. Collection Online is constantly being updated, with new specimen records and images added as the result of digitisation initiatives by staff, students, and volunteers working in the Herbarium. This valuable online resource is a collaboration with Science IT, Faculty of Science which provides ongoing technical innovation, software development and server management. Asset management platforms are contributed by Research Platform Services, Infrastructure Services, the University of Melbourne. Stories of the biodiversity documented in the Herbarium are available via a Pursuit article entitled The Stories of Australia’s Botanical Biodiversity and the Triple R, Uncommon Sense interview with Dr Jo Birch, Herbarium Curator, that were published alongside the launch of the Collection Online.